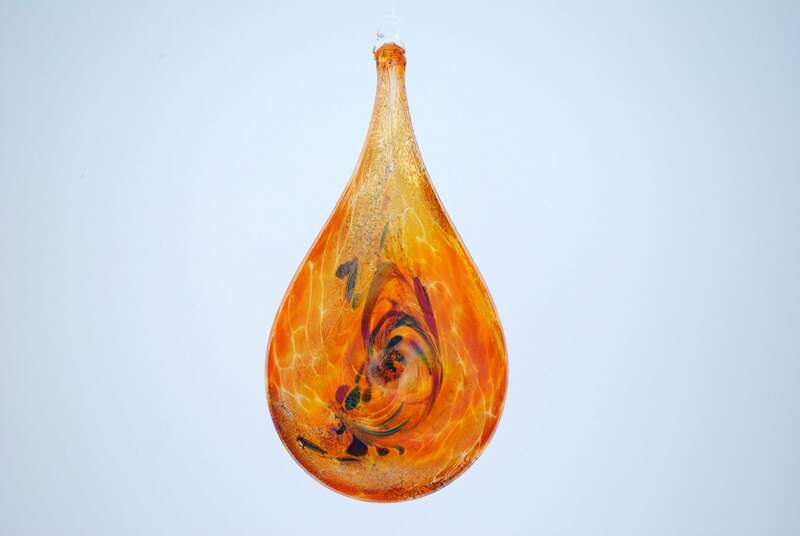 Hand blown, iridescent suncatcher ornament. It's very pretty, simply beautiful, thank you so much, Happy New Year! !